Young Scientist, July 21, 2011: Astronomers using the Hubble Space Telescope have discovered a fourth moon orbiting the icy dwarf planet Pluto. 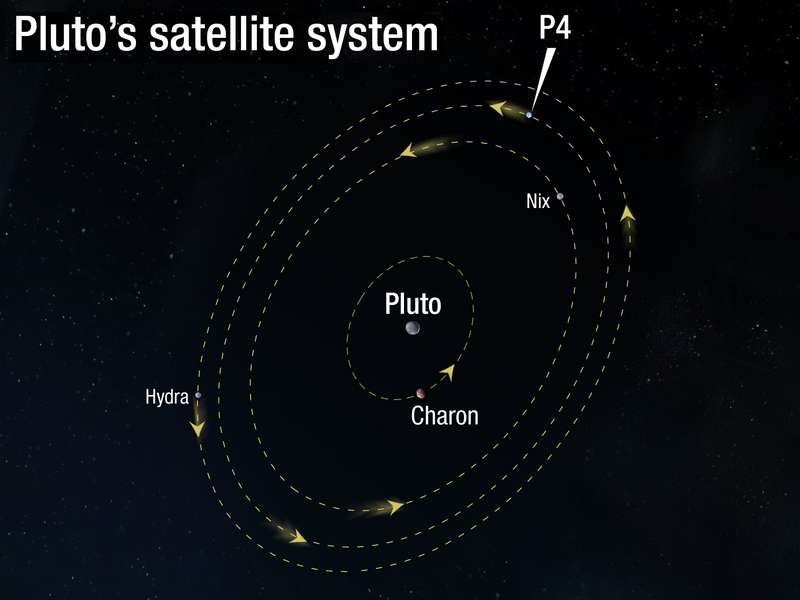 The tiny, new satellite – temporarily designated P4 — popped up in a Hubble survey searching for rings around the dwarf planet. 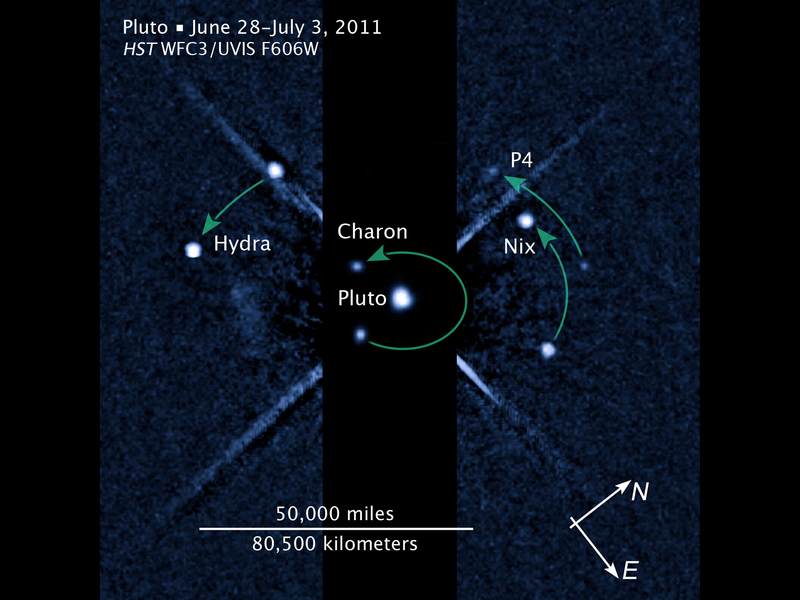 This composite of two Hubble images shows Pluto’s four satellites in motion. Hubble is a project of international cooperation between NASA and the European Space Agency. NASA’s Goddard Space Flight Center in Greenbelt, Md., manages the telescope. The Space Telescope Science Institute (STScI) in Baltimore conducts Hubble science operations. STScI is operated for NASA by the Association of Universities for Research in Astronomy Inc. in Washington.